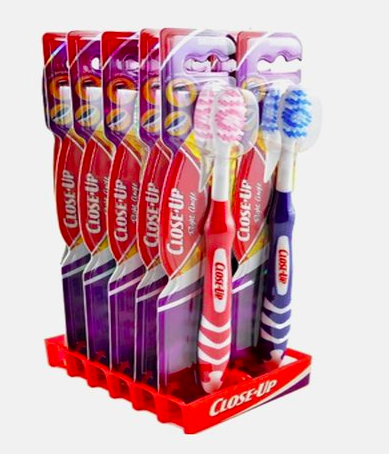 12-Pack Close-Up Right Angle Toothbrushes Only $9.99 + FREE Shipping ( = $0.83 each)! You are here: Home / Great Deals / 12-Pack Close-Up Right Angle Toothbrushes Only $9.99 + FREE Shipping ( = $0.83 each)! Need to replenish your toothbrush supply? Then you have got to check out this HOT deal! Right now, you can grab this 12-Pack Close-Up Right Angle Toothbrushes for only $9.99 + FREE Shipping, making each toothbrush ONLY $0.83! This a perfect for stocking up on toothbrushes for the whole family!